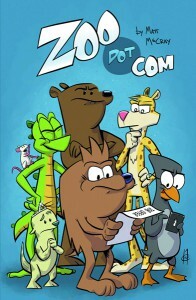 Zoo Dot Com is a full-color on-line comic strip written and drawn by Matt McCray. The concept is simple: “In order to cut costs, the Zoo decided it would be a good idea to have the animals run their IT department and website.” You can check out the archives at (where else?) www.zoodotcom.com. 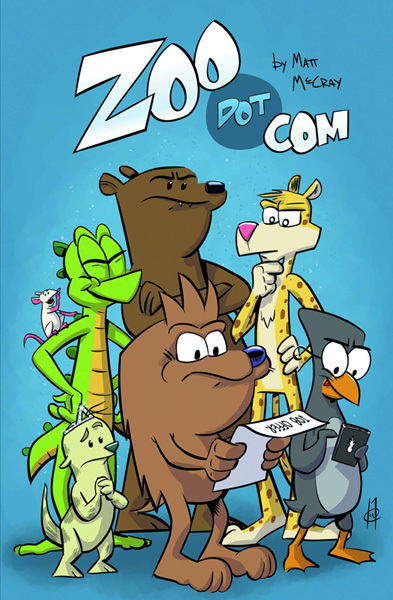 It’s been on hiatus for a while now as Matt works on other projects, but now Arcana Studio have announced that the first softcover paper collection of Zoo Dot Com will be released this April. Comix Zone has pre-order information.